UNISIG recognized the rising demand of its customers for a website that works well across devices. 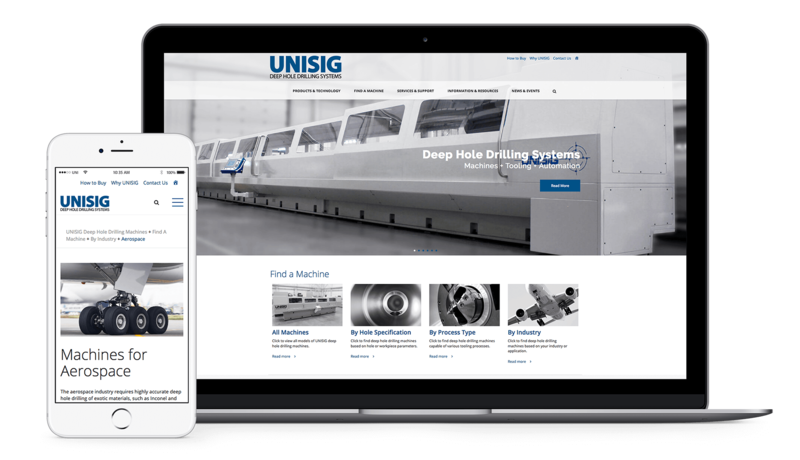 Working closely with project managers and key stakeholders, I created a consistent, responsive representation of the UNISIG brand through a custom developed Wordpress website. The new, fully responsive site carries a clean design that provides clarity, large and beautiful machine photos and unwavering consistency across the pages.